Shopping for Guardians of the Galaxy Electronics? 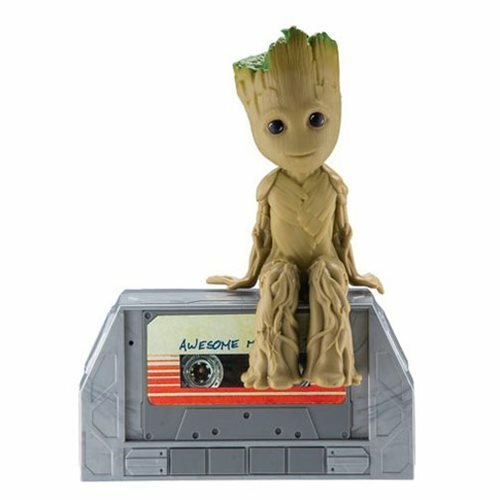 Hang out with Groot while listen to music on this Dancing Groot Speaker! Watch Groot dance to built-in music music and sound. Connect your device via Bluetooth and listen to your favorite tunes with Groot. This Guardians of the Galaxy Vol. 2 Dancing Groot Speaker measures about 16 1/2-inches long x 8 1/2-inches tall and requires 3x "AA" batteries (included).